According to a study, girls diagnosed with type-2 diabetes have a higher frequency of menstrual irregularities. Menstrual irregularities may have a variety of causes, including pregnancy, hormonal imbalances, infections, diseases, trauma and certain medications. Adult women with obesity are known to be at a risk for menstrual disorders like polycystic ovary syndrome (PCOS), which can lead to the development of diabetes or other metabolic problems. However, the reproductive function in girls with youth-onset type-2 diabetes. According to the researchers, it is important for girls with type-2 diabetes to be assessed for menstrual problems. Infrequent periods can be associated with heavy and painful periods, increased risk for fatty liver disease, fertility problems and long-term increased risk for endometrial cancer. 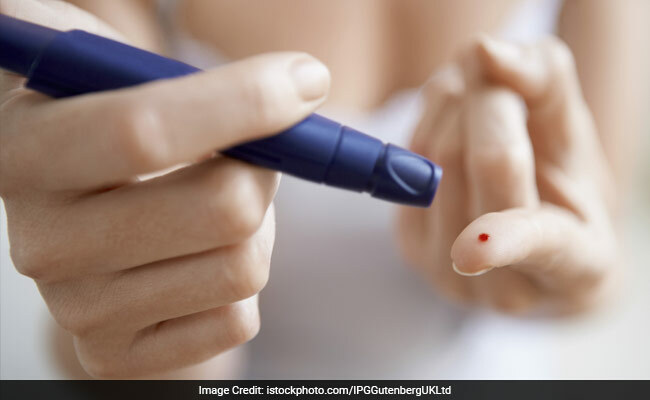 The researchers performed a secondary analysis of the data from the Treatment Options for type-2 diabetes in Youth study, a research study to find the best way to treat young people with type-2 diabetes. The researchers found that more than 20 percent of girls in the study had irregular periods. Many of those girls also had high testosterone levels, pointing to PCOS as an underlying cause. Diabetes is a lifestyle disease that can be regulated and maintained with the right diet. Here are some foods that may help keep your blood sugar levels in check. Beetroot are delicious and satisfying; they are also low on carbohydrate content. This pink veggie is a rich source of vitamins, minerals, fibre and phytonutrients, all of which help in managing diabetes. Natural sugars in beetroot don't get converted into glucose in the body too quickly, which makes them good for diabetics. A handful of pumpkin seeds help fight cravings for fatty and sugary foods. They are rich in iron and unsaturated fats and help in suppressing your appetite. Flaxseed contains large amounts of an insoluble fibre called lignin. Flaxseeds help in reducing the chances of heart complications and also the risk of strokes linked with diabetes. Nuts are rich in omega-3 fatty acids and have low glycaemic index scores. The essential oils and overall nutrient content of nuts helps in lowering diabetic inflammation, blood sugar and LDL levels. Tomatoes are rich in lycopene that are great for your heart. They also tend to reduce blood pressure and the risk of heart complications associated with diabetes.